Founded in the year 2014, at Varanasi, (Uttar Pradesh, India), we “Beaded India”, are a Proprietorship Firm, renowned as a prominent manufacturer, wholesaler, retailer, trader and exporter of a comprehensive range of rudraksha mala, mukhi (faced) rudraksha beads, 5 mukhi rudraksha mala, tulsi wood beads mala, rosewood beads mala, ebony wood beads mala, bodhi (budhha beads) mala, lotus (kamal gatta) beads mala, vaijayanti mala, putrajeeva (purtajiva) mala, semi precious stone mala, gemstone mala, wood beads, semi precious beads, metal beads, leather cords, cotton cords, beading supplies etc. We export our products worldwide including USA, Canada and all european countries. Under the supervision of our Mentor “Arvind Kumar (Proprietor)”, we are proficiently moving towards success in this domain. 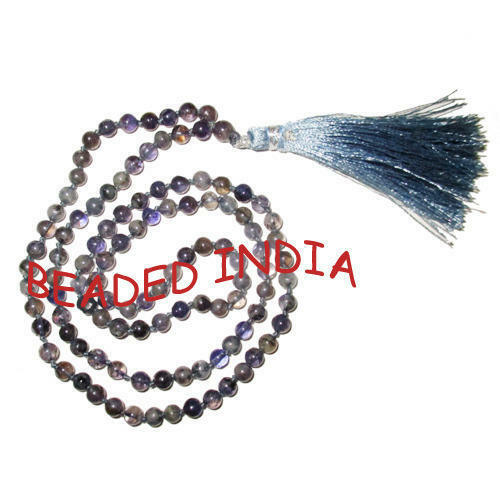 Beaded India is a young company, registered and established at the spiritual capital and heritage city of India "Varanasi" by professionally, behaviourally and morally equipped Mr. Arvind Kumar to fulfill all your primary beading and jewelry needs. Varanasi (also known as Benaras and Kashi) is one of the oldest living cities and one of the most liked tourist place in the world. Varanasi's Prominence in Hindu mythology is virtually unrevealed. Mark Twain, the English author and literature, who was enthralled by the legend and sanctity of Benaras, once wrote : "Benaras is older than history, older than tradition, older even than legend and looks twice as old as all of them put together". Mr. Arvind Kumar is an MBA (International Business) from UPRTO University, Allahabad and has more than 10 years of experience in leading international beading industries. He has expertise in international marketing strategy and always keen to learn new trends in the international beading market and keep inventing new designs and developments that suit the current market trends as well as customer's needs.